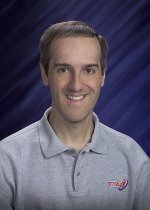 Congratulations to Dr. Daniel Chavarría, a computer scientist at the U.S. Department of Energy's Pacific Northwest National Laboratory, on being selected to present at the 13th Institute of Electrical and Electronics Engineers (IEEE) and Association for Computing Machinery (ACM) International Symposium on Cluster, Cloud and Grid Computing. The conference has only a 22 percent acceptance rate, and Chavarría's paper was one of only 57 papers accepted. The conference, held in May in Delft, The Netherlands, focuses on presenting and sharing recent research results and technological developments in the fields of cluster, cloud and grid computing. The conference features keynotes, technical presentations, posters, workshops, and tutorials. Chavarría will speak on "Scalable PGAS Metadata Management on Extreme Scale Systems" which describes improving computational scalability by reducing the metadata space requirement on next-generation trans-petascale systems. At PNNL Chavarría's research focuses on scalable parallel programming models and systems software. Research Team: Daniel Chavarría, Khushbu Agarwal and TP Straatsma from PNNL.